Thank you Maurice. You and Earth Wind & Fire educated and enriched my life far more than you will ever know. Since “Head To The Sky” 1ST dropped(’73- i was an early teen), and every single album & CD since, I have been mesmerized, hypnotized, & characterized by this bands’ unique quality, classic sound, and continued worldwide success. Throughout most of my whole LIFE, this group has been there for me, and I have been there with/for them. I can truthfully say, without hesitation, the music of Mr. Maurice White & Earth Wind & Fire, has been my BEST friend. They NEVER failed me. Through my good times, and my bad times, constantly refreshing me, consistently uplifting me. THE BEST FRIEND I have EVER HAD(saying this with big tears in my eyes). To Mr. Maurice White: I love you! Thank you for your faithfulness. R.I.P. Maurice White is the legend that has shaped my passion for rhythm from a very young. My father was the EWF fanatic from an early age but has brought us siblings up on Earth Wind and Fire’s music . We share the same passion that he has for a truly gifted song writer who brought such an archive of happy memories and fulfilled our musical passion. The groove in our shoes starts and finishes with Maurice White. Maurice uou and EWF have been with me since I was fifteen years of age I am 56 now and your music has always been with me. Thank you for sharing your beautiful gift with us. The soundtrack to my youth, Maurice will be missed. I have liked your all songs,your voice and your music since I was very young. I have been impressed by your powerful voice and your an exquisite feeling for music every time. Especially,I like”That’s the way of the world”and”In the stone” so much. I really wanted to listen to”In the stone”by your voice once again. One of the best. A legend. The world will be empty without you, but your music is still with us. Thank you! The music was a great part of my youth, thank you for this ! To the white family and his brotherp axd band members at this sad time my deepest thoughts are with you all ! maurice e’ stato per me il miglior musicista di sempre , tutta la mia vita ha avuto la colonna sonora degli ewf .grazie di tutto maurice riposa in pace. Nos has dado tantos momentos buenos, que siempre estaremos en deuda contigo. Yet another iconic figure has passed. RIP maurice. thank you maurice. for the music, your soul, your love, your Earth, Wind and Fire! i’m young, and you inspire me through of generation. Ciao Maurice, grazie di tutto. Ti voglio bene. Buon viaggio. Maurice y EW&F han sido una inspiración en mi vida. Maurice ha formado parte de la banda sonora de mi existencia en un lejano país llamado ESPAÑA. En 1979, hace ya 36 años, mi tío Juan (D.E.P) l me regaló un maravilloso LP. Había escuchado algunas canciones en la radio y fascinado por el sonido de la banda y por la voz de Maurice White no dudé un instante en pedirle que me regalase el vinilo, que en España había editado CBS. Ese disco cambió mi vida. Fue el primero de una discoteca de cientos de álbumes que considero como mi pequeño TESORO. Esperaba ansioso la publicación de los siguientes discos. Los fuí comprando uno tras otro. Llegó 1998 y EW&F recaló en VALENCIA, mi ciudad, para celebrar un antológico concierto. Un grupo de amigos nos pusimos en primera fila escuchando y bailando un espectáculo único. Por desgracia en esa gira europea Maurice White no actuó. Al acabar el concierto conseguí que toda la banda me firmase el I AM y todo gracias a Robert Brookins, segundo teclista de la banda aquel día (el primero era MORRIS PLEASURE), del que había comprado en San Francisco su disco IN THE NIGHT. Ese disco (I AM) para mí es como un DIAMANTE EN BRUTO. Años más tarde nos dejó ROBERT BROOKINS (D.E.P). En julio de 2014 EW&F volvió al mismo lugar VIVEROS de VALENCIA. Conseguí que VERDINE WHITE y PHILIP BAILEY me firmaran los discos de la banda, incluso algún single. 16 años después el concierto volvió a ser una fiesta, pero tampoco estaba MAURICE. Gracias MAURICE por ser parte de mi vida, en la distancia, por tu INSPIRACIÓn, por tu música, pot tus composiciones por enseñarme a AMARA LA MÚSICA. ¿Qué sería de nosotros sin la música? Hoy voy a rezar por tí y los tuyos. Nos ha dejado un GENIO. Siempre estaremos en deuda contigo. Descansa en paz estes donde estes. From the early seventies until today, EWF and Maurice White have been a big part of my live. I am grateful to have seen the Man and his band live on various occasions here in Germany. I am truly sad, that the world has lost such an inspirational and talented musician. First thing for me to do this morning was listening to “In the stone”, one of my all-time favourites. Love is indeed “written in the stone”, because your music gave love to everybody who listened to it. RIP Maurice, and thank you for being such an important part of my life. The sound of EWF created by Maurice has endured. From drummer with Ramsey Lewis to the leader of a world famous group. You know that a song is immortal when you never tire of hearing it. Today I played Let’s Groove and it still gives me tingles. So long Maurice one of the great masters of a musical force that still shines on. Maurice you covered all the bases and your legacy will be forever. God bless the Shining Star. Dared to be different and created sound, message and stage presence which broke all barriers and unified people from all over the world. The most diverse band in music history, Maurice vision and evolution of EWF combined with his ongoing influence on the industry will forever be unparalleled. Thank you for sharing your gifts. RIP. Maurice, Gracias por dejarnos tus CD’s para que sigamos disfrutando de tu Voz,, los DvD para verte pero no dejare de Recordarte,..! Maurice wrote, sang, and did it. Now it’s our turn…Keep Your Head to the Sky! Earth Wind and Fire might very well be my favorite band of all time. To me, music is about discovery, and the profound impact it has on your life. I first heard of their music in the film Drumline, where they play “In the stone” on marching instruments. Since then i decided to research the band, seeing if there were any other hits that i liked. Once i started earning money, i had enough saved up to buy the box set series for about $20 and i’ve never put it down since. It’s been the most replayed band in my car, and i always find myself going back because there’s never a bad time to have a listen. So much about their music is just heartwarming and good for the soul. Many times where i’ve felt happy or sad, their music lets me release my misery or shine with joy. I’m bringing the cd home with me today so i can celebrate Maurice’s life’s work, and i hope there are others out there who feel the same way i do. RIP Maurice. Your legacy will not be forgotten. Great Maurice ! Thank you very much. Your music is the soundtrack of my life. Unvergesslich die Momente mit Deiner Musik. Gracias Mauricio ser genio y figura. Hicistes llegar tu música a todos los rincones del mundo. Entre tus azañas, he de destacar la de crear un estlo de música universal, que fue seguida y querida por todas las culturas de este mundo. God rest your soul Maurice. Your journey in this world has ended, but your spirit lives on in His kingdom. Thank you for being the architect and initiator of so many wonderful memories through all your musical gifts you gave to the world. Most importantly, thank you for your signature message of love that is manifested in your awesome body of work as solo singer, songwriter, producer and of course as the pioneer of my favourite all-time musical group….as well as in all of your endeavours that touched so many lives. May the Lord comfort your family, friends and the entire EWF family and legions of fans like myself on the heels of this terribly sad news. Goodbye Maurice, yet we know your soul will always be among us. As a kid who played trumpet, growing up in the 70’s, Maurice and EWF’s sound was the soundtrack of my youth. Getting to see them a few years back rekindled that love for horns and great lyrics. Your music will live forever. The funk father’s is gone ! 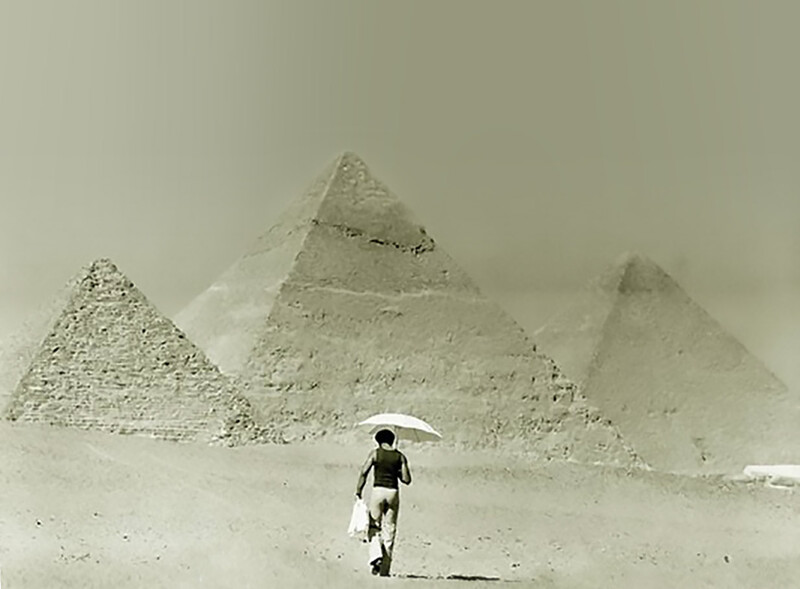 Thank for all Mister Maurice White…. Rip mr. White. You will be missed. I grew up listening to ewf. To this day when I here fantasy it puts a big smile on my face. This is so beautiful, it bought back so many memories. I was a babysitter in the Bronx. I worked for my Cousin Gerald watching his daughter. He would come home after work, start painting (he was also an artist), and he would put on Earth, Wind, and Fire. I never heard of them (I was a Stevie devotee) and I fell in love with EWF, the music of the cool people. Thank you for this Maurice White. Thankyou for the great music Maurice. As a a former DJ I always made sure I played Lets Groove along with the video. I am always amazed by the song and video when it is played. Your a legend along with EWF. I have total respect for you as an Artist. RIP Maurice. My thoughts are with you, your Family and Friends. Your wonderful music and joy you gave us on earth will always remain. I know that you are sitting on a nice cloud in the sky and looking over us that we continue to enjoy your music and song. A big thank you to you, Maurice, and rest in peace. Miss you…………………..
EWF – Be strong in this moment, do not forget all of us who still want to hear your concerts. We are here for you! Verdine – My condolences, deepest of my heart, your brother and friend passed away. Maurice, you were the greatest voice, source of energy and inspiration, putting together the greatest band ever! Condolence to all your family and group members, friends, co-workers and fans all over the world. Let your music sound forever.